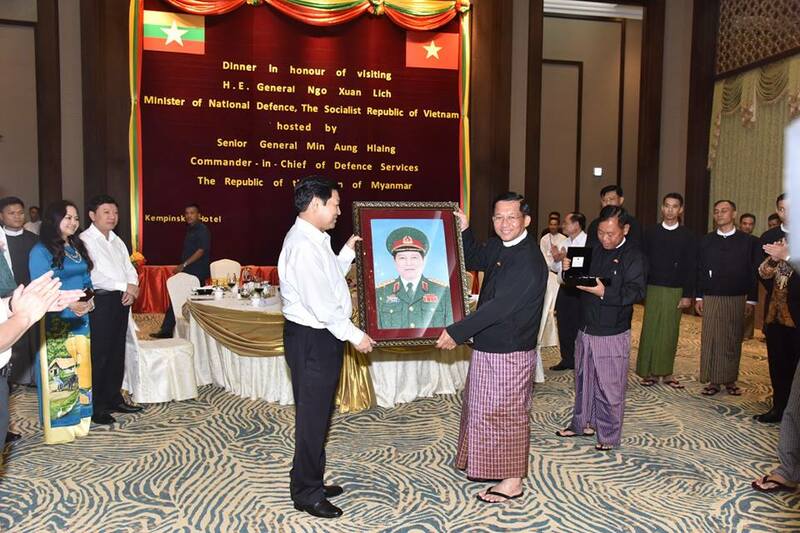 Commander-in-Chief of Defence Services Senior General Min Aung Hlaing hosted a dinner to the goodwill delegation led by Vietnamese Minister of Defence H.E. 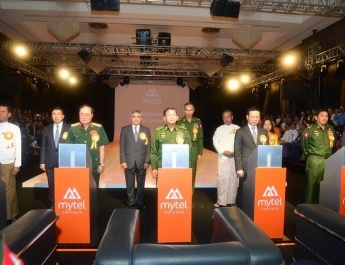 General Ngo Xuan Lich at Kempinski Hotel in Nay Pyi Taw this evening. 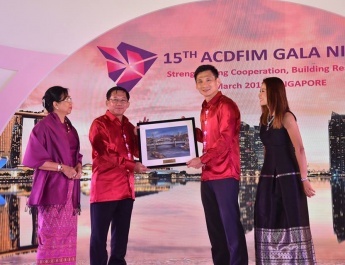 Also present at the dinner together with the Senior General were Deputy Commander-in-Chief of Defence Services Commander-in-Chief (Army) Vice-Senior General Soe Win and senior military officers. 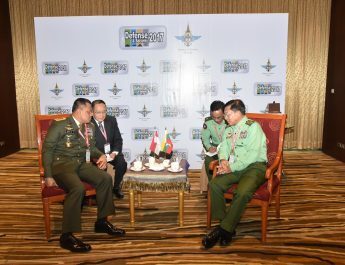 The Vietnamese Defence Minister was accompanied by Deputy Chief of the General Staff Sr. Lt. Gen. Nguyen Phuong Nam and senior officers, Vietnamese Ambassador to Myanmar Mrs. Dr. Luan Thuy Duong and Military Attaché Col. Nguyen Duc Giang. First, the Senior General extended greetings while the Vietnamese Minister of Defence spoke words of thanks. Then, the Senior General and the Vietnamese Minister of Defence had dinner together with those present. 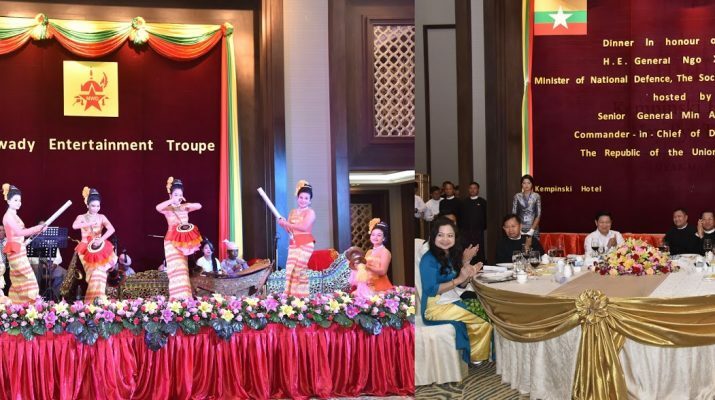 During the dinner, the Myawady band under the Directorate of Public Relations and Psychological Warfare played songs of both countries and variety dances. After the dinner, they exchanged commemorative gifts. Next, they gave flower baskets to members of the entertainment troupe who performed dances and songs and posed for documentary photo. In the morning, Vietnamese Minister of Defence H.E. 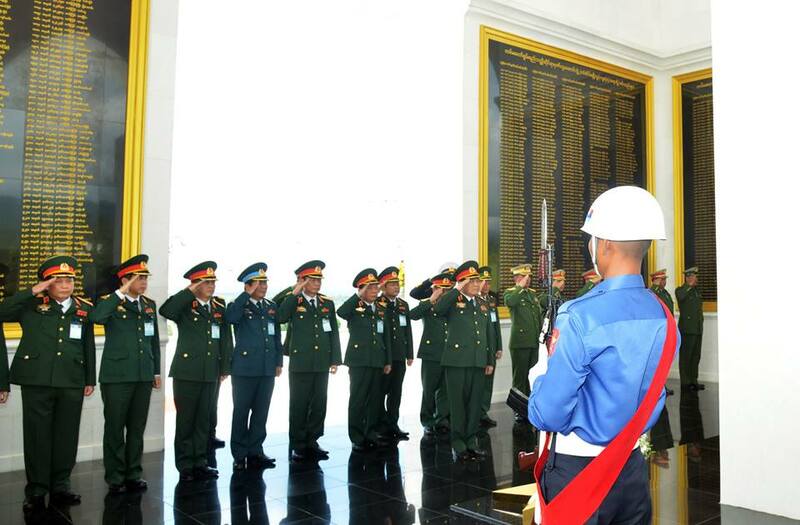 General Ngo Xuan Lich and party laid a wreath at the commemorative monument of the Memorial to Fallen Heroes in Nay Pyi Taw and paid tribute to the heroes who sacrificed their lives in discharging State defence duty and signed the visitors’ book at the Memorial to Fallen Heroes.